Tensho Shubun was an important figure in Japanese art in the 15th century because several of his pupils would rise to major prominence. Of course, Tensho Shubun also left behind a rich legacy based on his own art therefore today he is highly regarded in Japan. This especially applies to the cultural angle because he played a powerful role in bridging the different generations and highlighting the richness of Chinese and Japanese culture in this period of history. It is known that Tensho Shubun was born in the province of Omi in the late 14th century and died in the middle of the following century. Not surprisingly, the richness of Japanese Zen Buddhism and the splendor of Kyoto and Nara in Japan played a powerful role within his art. Likewise, the power of China on Japan in this period certainly emboldened Tensho Shubun. Therefore, it is widely credited to Tensho Shubun that he is the founding father of bringing suiboku ink painting to the fore in Japan based on the rich style of China where this form emanates. Individuals often eulogize his teacher Taiko Josetsu and the same applies to Sesshu Toyo who was a pupil of Tensho Shubun when he was a boy. Of course, both individuals are widely acclaimed because of their rich talents. Yet Tensho Shubun shouldn’t be overlooked because he was a bridge between these two powerful individuals and he rightly left his own mark. Indeed, Sesshu Toyo was blessed to study under Tensho Shubun when he was a child because art, culture, knowledge, wisdom and the influence of China will have been fully interwoven. Therefore, the continuation of high culture within the world of Japanese and Chinese cultural traits maintained a rich lineage in this period of Japanese history. 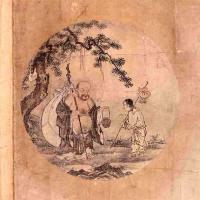 This reality means that Tensho Shubun played an important role within society when it came to art, culture and wisdom. 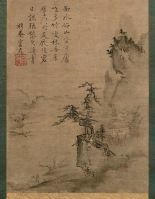 Alongside Tensho Shubun being inspired by suiboku ink painting emanating from China he also adored Chinese landscape artists including Xia Gui and Ma Yuan. The influence of China was enormous even if many individual Japanese traits would emerge based on different cultural concepts. Indeed, Taiko Josetsu was an immigrant from China and many Japanese artists in this period adored the richness of paintings from the Song Dynasty in China. Tenshu Shubun lived in a very intriguing period in Japan because China and Korea were brotherly neighbors in the field of art, culture, religion and other important areas related to high culture. 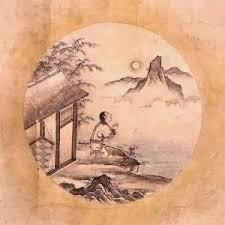 Zen Buddhism and other Buddhist sects were thriving in Japan along with the indigenous Shinto faith. Also, powerful philosophical traits like Confucianism and Daoism impinged greatly within the corridors of power and in relation to high culture. Some art and cultural articles by Modern Tokyo Times are republished in order to inform our growing international readership about the unique reality of Japan.